Telugu superstar Mahesh Babu is the new king overseas. 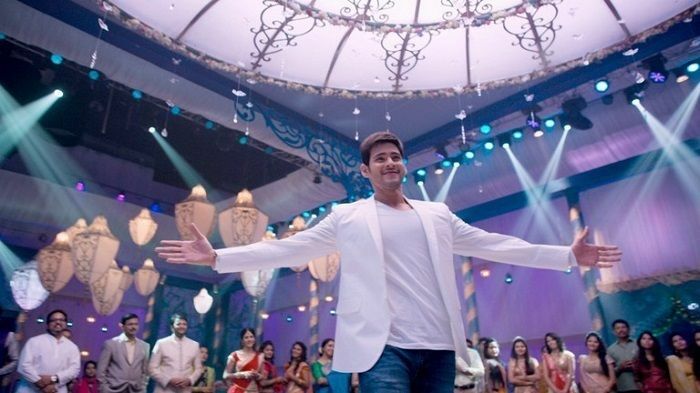 The overseas rights of the actor's upcoming film, Brahmotsavam, has sold for a massive Rs 13 crore. The film has beaten the record of another upcoming biggie featuring superstar Pawan Kalyan -- Sardaar Gabbar Singh -- which was sold for Rs 10.5 crore. The Mahesh Babu starrer also broke 2015 blockbuster Baahubali's Rs 9 crore record by a huge margin. Pawan Kalyan was considered the king of overseas. But Mahesh Babu's last release, Srimanthudu, did wonders at the overseas Box Office. The film collected around USD 2.1 million within the first weekend and became the second highest-grossing Telugu film of all time to cross the magical USD 2 million mark abroad after Baahubali, The Beginning. Srimanthudu's overseas success was Mahesh Babu's big ticket to gain the numero-uno spot at the overseas Box Office, ensuring a terrific opening for his upcoming film Brahmotsavam. The actor will be seen romancing three Tollywood female leads -- Samantha Ruth Prabhu, Kajal Aggarwal, and Pranitha Subhash. The supporting cast includes veteran stars like Sathyaraj, Revathi, and Jayasudha. The Sreekanth Addala directed film is scheduled to release on 29 April 2016. Want to buy the Ringing Bells' Freedom 251? Read this first!